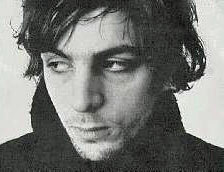 Syd Barrett – original member of Pink Floyd turned world-famous recluse, has died at the age of 60. Although details are unclear, it’s said that he died "peacefully". He had suffered from diabetes in recent years. Although not mod-related, I’m sure there’s a lot of people out there (like me) who enjoyed Barrett-era Floyd, not to mention his quirky solo offerings.